The Univac Solid State Computer 90, the instructions. A program of the USSC consisted out of a chain of instructions, each instruction pointing to the one succeeding. Each instruction existed of one word of ten digits with a sign. 7 - 10  :    c,       - the address of the next instruction C, (C-continuation). M  C    			= address parts of the instructions. (M) or m 		= The operand address, digits 3 to 6 of the instruction-word. (C) or c			= The address containing the next instruction. rA, rx and rL		= the three registers in which the calculations and the comparisons took place. (rA),(rX),(rL)		= the contents of the registers. 26 m -           - loaded rA with zeros and the program continued on (m), not on (c). 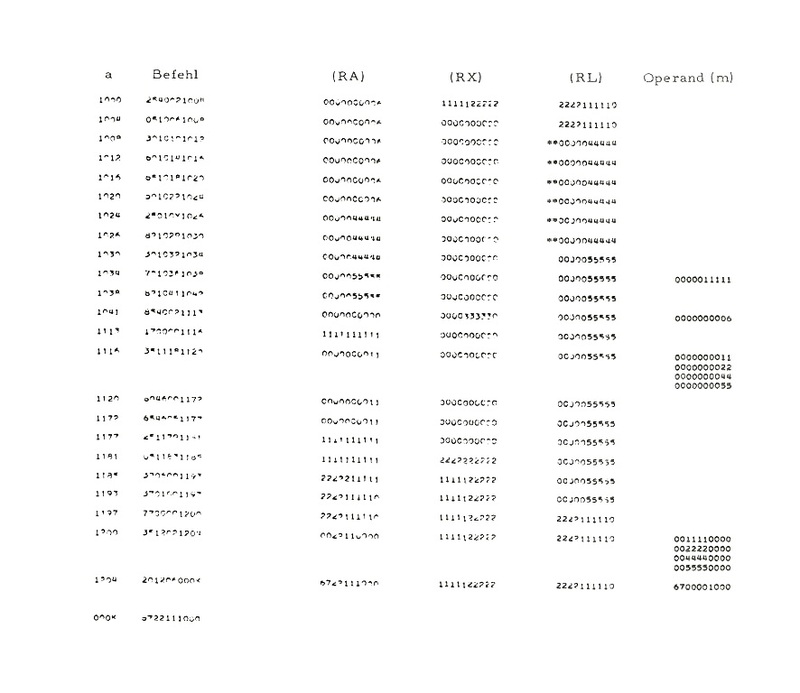 29 m c          - used operand-address (m)+(IR0)      (+indexregister 0). -25 m c          - used operand-address (m)+(IR1)      (+indexregister 1). -29 m c          - used operand-address (m)+(IR2)      (+indexregister 2). 25 000K c     - transferred (rX) to rA, since 000K was the adress of rX. linked in order of execution by the continuation-adresses. 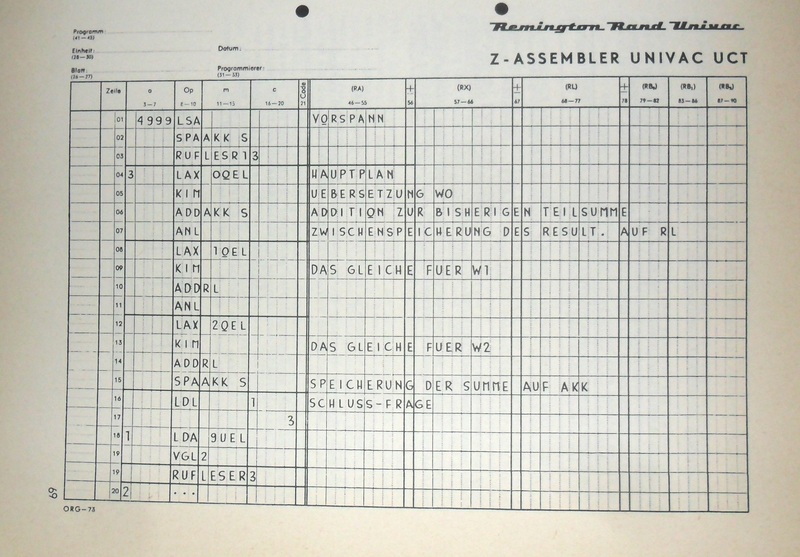 02 - load indexregister with (M), with the address-part of the instruction. 05 - load rX with (m), with the number in memory-address m.
23 - call subroutine, (rC) > rA, the instruction is duplicated in rA. 73 - return from subroutine, jump to (C), the address in the C-part.